A great baby shower gift idea with a personal touch. Personalized baby books make a super unique baby shower gift that will delight baby for years to come. Any Mom will appreciate the sentiment as well. My Very Own Name Board Book is personalized with baby's name to help him/her learn the ABC's. Each book comes as a gift set accompanied by a plush lamb. So cute!! OK so get ready for the ultimate in personalized books! If you can't find a way to make this a baby shower gift (featuring mom or dad?) then it is an absolute must for after baby is born and has had plenty of pictures taken. So without further adeu, I introduce Little Bunny Press Personalized Books. 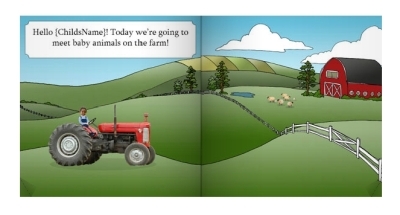 These books are fantastic personalized books as they not only allow you to add personalized names, but actually insert your own pictures into the book to make you part of the story. An absolute must see! 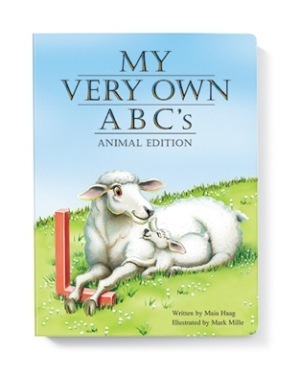 There are several stories to choose from but I really like the baby animals theme for a baby gift.